Does anyone remember when you had to open a garage door by hand? 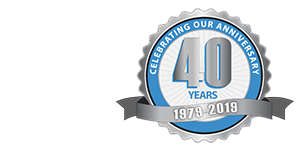 Invented in 1926 and popularized right here in Chicago after World War II, the electric garage door opener has been making the lives of homeowners easier ever since. What was once opened by a keypad at the end of the driveway was followed by the fault ridden early radio transmitters, and has advanced since then to make the lives of homeowners easier each year. Now it’s 2014, and the technologies of garage door openers match the time. From WiFi-enabled smart garages to ephemeral opener signals, the garage of the future is here. Today, we’d like to share some of the advanced features available in Blue Sky Builders-Preferred LiftMaster garage doors. Monitor and control your Garage Door Opener and home lighting from anywhere (when paired with the Internet Gateway). How about a signal that can never be hacked? 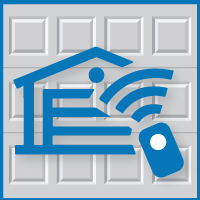 With Security+ 2.0™, your garage door will never be sent the same code. Stay out of harm’s way with audio and visual warnings when the garage door is about to close. That’s just two of the top features available on modern garage doors. We have come a long way since one garage door opener opened the entire neighborhood’s doors or when an overhead plane transmission would open an overhead door. We can only look forward to the future of the garage. While we wait, we would like to invite you to contact us for garage door opener repairs before you’re left out in the cold this winter.